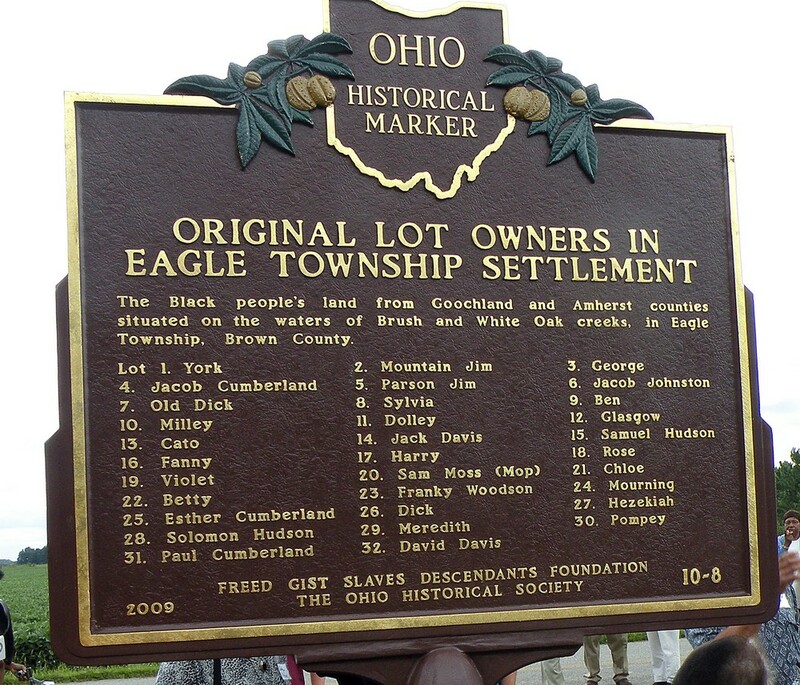 The ceremony memorializing Virginia freed slaves in what has become known as the Gist Settlement, established 1819, in Eagle Township and Brown County Ohio, began at 12 p.m. at the Sardinia United Methodist Church. 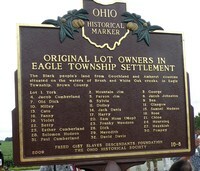 The unveiling of the marker took place at the Old Methodist Cemetery, Five Points Fincastle Road (A short distance from Ohio Route 32 East). 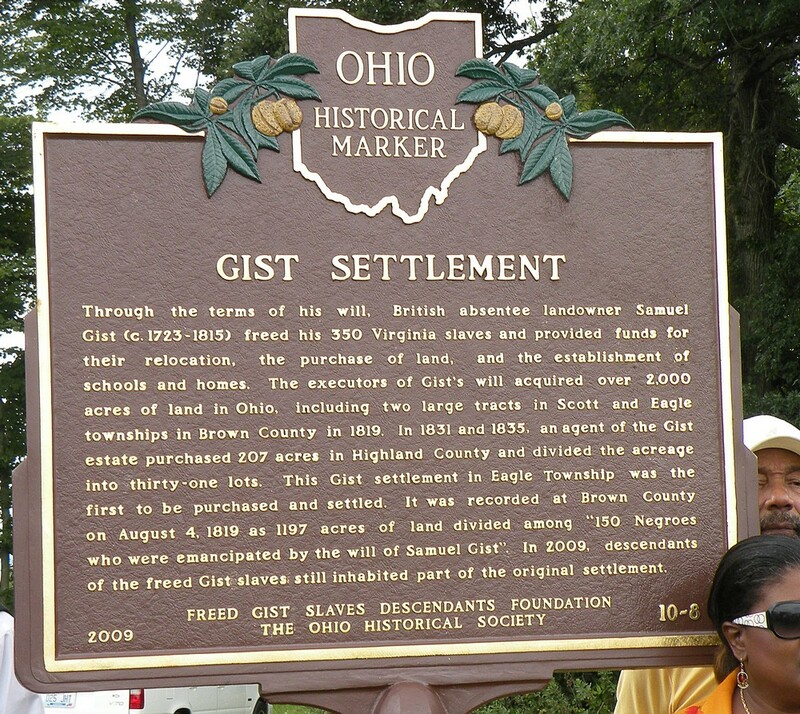 Following the dedication and ceremony of the historical marker, descendants of the freed slaves that were originally brought to Ohio to the Erie, Sandusky, Ohio region and relocated to Adam, Brown, Highland counties, gathered for a Gist Gathering luncheon reunion at the church. 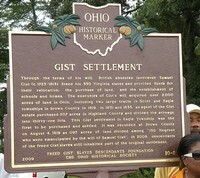 20 Gist descendants were on hand for the unveiling.